There are plenty of difficult situations where you are stuck without an option except to leave your children at home unsupervised. Whenever there is an emergency situation at work or your car breaks down on the way home, it can be a scary thing to think about your children’s safety when there is no one at home with them. Home security systems will help provide the monitoring your children need when you are not able to be there with them. Strategically placing a home security system around your home can prove to be one of the most useful tools on the market today. Often it will be composed of a single monitor complete with picture-in-picture capability and anywhere from four to ten cameras. You can either have the surveillance cameras hidden or out in the open, depending on your individual preference. Some of the video surveillance systems make use of wireless technology. This helps you receive the visual feed needed through the video camera directly to your phone or computer. What does this mean for you? If you are ever stuck in heavy traffic or have to work late at a business meeting, you will be able to monitor your children from a remote location and ensure their safety. Aside from being able to install a security camera to ensure your child’s safety when you are not home, there are a few practices and procedures that need to be implemented to ensure your child’s safety when you are not there. As an example, if you currently have a gun in your home, you will want to make sure the bullets are not in the same location as the gun and make sure the chamber is empty. If you have a surveillance system, you need to make sure your child is aware of how to activate and deactivate it. If your home phone is not equipped with call waiting and your little one does not have their own cell phone, you need to make sure and let them know they need to avoid spending excessive amounts of time on the phone with their friends. This is to ensure there is a continual line of communication open between your child and you. Along with all of the aforementioned practices, having a security system in your home is one of the best things you can do to ensure safety of your child when you are away. At some point in time, you are probably going to need the assistance of a babysitter. Their sole job is to make sure your children are taken care of when you are not at home. This can be quite terrifying for a lot of parents. Think about it, you are leaving your child at home with someone you might not know all too well. Although there are numerous ways to choose the best babysitter for your needs, it is more convenient to monitor all of the activity around the home when you are not there. One of the ways to help monitor the way the babysitter acts is to monitor how they interact with your children through a surveillance system in your home. Surveillance systems inside of your home are one of the most effective tools for being able to determine if your babysitter is taking care of your children in your absence. If you take a walk around the neighborhood, you will probably notice there are numerous surveillance systems in place around the vast majority of homes, if not all of them. A security system is not just effective at being able to monitor the activities of the babysitter inside of the home, but outside as well. They are also essential in securing the perimeter of your home, especially in an area that has an entry point for a vandal or burglar. Having a surveillance camera around the home will help you decide if your babysitter is reliable and worth of trust. 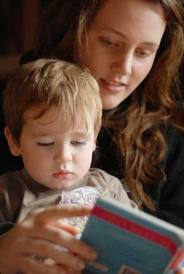 It will also help to identify your babysitter’s true identity and the manner in which they are treating your child. Nanny cams are one of the best forms of security systems for your property. They are a network of hidden cameras that are strategically located around your home, such as in your kitchen, living room, dining room, bedrooms and most importantly, your child’s bedroom. Even if you are away at a meeting or out to dinner with your significant other, you will still be able to monitor everything going on around the home via phone or computer. How Do Nanny Cams Work? If you are interested in purchasing a nanny cam but you are unsure how they work, there are a few things that can help you understand them a little better. Nanny cams are designed for the purpose of being small and out of sight to help place them anywhere you can think of without being detected. 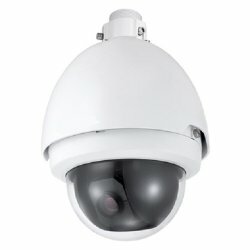 Just like any other surveillance camera, they come with a built-in camera that allows wireless or wired connectivity. If the system you choose is wired, that means you are going to have to fuss with cords. This can make it that much more difficult to hide the nanny cams around the house. Some of the best nanny cameras will resemble that of an alarm clock because all alarm clocks already have wires. Cords can be connected into a digital video recorder or through a monitor that allows you to record and watch all of the video. Nanny cameras without wires are often easy to hide and relatively inconspicuous. They work by transmitting an electronic signal into a receiving device that allows all of your videos to be displayed on your specified device. Wireless does not necessarily mean that there are no wires, but essentially they are powered through an electrical outlet or through batteries. If you decide to plug your unit into an outlet, you will want to choose one that is not as obvious to the standard passer-by. What Are the Best Nanny Cams Around? Are you one of those parents that are searching for a way to record audio in addition to video? Recording audio of everything your nanny is saying without participating in the conversation yourself is often illegal in numerous states. When the number was last tallied up, there were at least 15 different states that marked recording your nanny’s words as illegal. However, they are still available on the market today, so you need to make sure you are aware of the varying laws surrounding using a camera. Where Can I Buy a Nanny Camera? Purchasing an affordable nanny camera online or through an electronics store is a lot easier than what you might think. Although it might seem that the fancier your camera is, the more likely you are going to be to purchase it online. However, that doesn’t mean that a basic camera cannot be purchased online, but you do need to remember that the fancier your camera is, the more it is going to end up costing in the long run. Many buildings have mandated the use of a security camera in schools, apartment complexes, offices, malls and various other public areas. Installing one of the digital security systems is one of the best deterrents you can get when it comes to theft. Not to mention it will vastly improve upon the chance of any risks internally or externally. 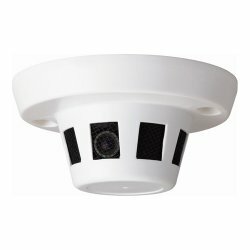 Although you most often find the cameras in a public place, they are becoming more and more popular in residential homes. They are a fabulous investment for deterring any criminal activity. Digital recordings allow you to have a documented record of what happened when you were away, which aids in controlling a potentially dangerous situation in your home. Not all of the security cameras come equipped with video surveillance options, but there are plenty of solutions that can be customized to meet all of your needs and ensure your options and budget is upheld. Home security cameras are designed to assist in peace of mind for your family and your home from any potential crime. In the event that something was to happen, having the ability to capture an event through your camera will help in the prosecution and increase the likelihood of recovering any potential losses. This increase in security will help lower your insurance cost as well. Users will have continual monitoring of their children, parents, babysitter and pets when there is no one at home. Installation is relatively simple, and there is no need to consult a professional to set your security system up inside of your home. However, there are plenty of companies around who are willing to come in and install the system in your home to help monitor everything for you. It is a personal choice as to whether or not you bring in the professionals to help do the job for you. Cost will vary based upon the type of security system you decide to purchase. Your need for additional security cameras or enhanced resolution will play a key role in determining the price. There is also the choice between what type of cameras are available, such as outdoor, IP and motion sensors. Whatever your specific needs are, you will have no problem finding exactly what you are searching for at a price you can afford. There is relatively little to lose when it comes to installing a security system. The latest advances in technology ensure homeowners are able to relax in knowing that their homes are being monitored around the clock. This helps to alleviate some of the fear and worry involved. Feeling safe at home and monitoring your prized possessions is essential when it comes to today’s world. For any questions or further information, please do not hesitate to contact us.